According to the Small Business Administration, depending on your industry, a small business could be defined as business with a maximum of 250 employees or a maximum of 1,500 employees. They’re privately owned corporations, partnerships, or sole proprietorships that have less revenue than larger businesses. And right now, small business is big business. SMBs are taking over! The 28 million small businesses in the US account for 54% of all US sales. 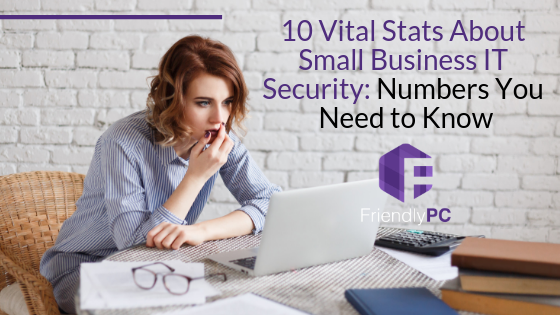 Small or large, every business depends on technology, but they aren’t always working with the same resources when it comes to IT trends and security. 16% of respondents admitted that they had only reviewed their cybersecurity posture after they were hit by an attack. If a company has a password policy, 65% of respondents say they do not strictly enforce it. Small businesses reported that only 38% regularly upgrade software solutions. While many small businesses are concerned about cyber attacks (58%), more than half (51%) are not allocating any budget at all to risk mitigation. 55% of respondents say their companies have experienced a cyber attack in the past 12 months. Only 14% of small businesses rate their ability to mitigate cyber risks, vulnerabilities and attacks as highly effective. 60% of small companies go out of business within six months of a cyber attack. When a small business is facing computer repair issues, it can be crippling — basically business comes to a crashing halt. Friendly PC is there when and where you need us. 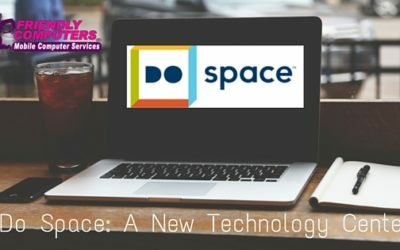 We can offer remote cloud care, we can show up to your office, or you can come into the store anytime. Find out more about our Business Service offerings here. Cyber Monday at Friendly PC!